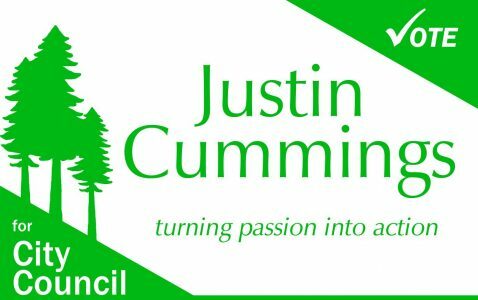 When I first began to consider running for Santa Cruz City Council, I had not previously intended to run for office. What really made me feel like this was the right decision was the many people who thought that we needed change in Santa Cruz, we needed a city council that was going to look out for the interests of the people and not just profits, and that I was capable of being that kind of representative. Our campaign organized ourselves very well so that we could be effective and efficient at getting our message out to people that Santa Cruz needed meaningful change. Though many doubted our efforts, we exceeded expectations by getting first place during a midterm election. This election was historic for many reasons; Drew Glover and I will be the first African American males elected to Santa Cruz city council, I will likely be the first African American male to serve as Mayor, and Donna Meyers is the first open lesbian woman to serve on the Santa Cruz city council. We as a city council are here to represent the interests of the people of Santa Cruz, not to push our own personal agendas and we need you to share your thoughts and opinions with us so that we can preserve and create a community that protects all those who reside within it. On behalf of all those who helped walk precincts, came to numerous campaign meetings, supported us with data, donors, the members of various other campaigns and community groups who supported us, I would like to thank you all and I look forward to representing all of you on the Santa Cruz city council. We have proven that when people come together, and turn their passion into action, we can overcome even the biggest of obstacles. The work is only beginning. We have a lot to do and it’s going to take everyone coming together, just like we did during the campaign, to make our progressive city council a success. Power comes from the bottom, not the top. Continue staying engaged. Continue plugging in to the community. Continue getting involved and getting organized. We cannot become complacent in thes victorious times, as the establishment will work to undo what we may accomplish in the next 2-4 years. It is up to all of us to maintain our gains and build on them. See you out in the community!